sailboat. : First Book Of 2015! I knew that I wanted my first book of the new year to be one that I had a good feeling about. I'm not particularly sure why, but I guess I just wanted to get my reading year off to a good start. 2015 is only going to be my second year of reading a lot since my childhood (my teens are now referred to as 'the lost reading years') so I still feel like I have a lot of catching up to do. Starting the year off with a book that I thought I would like somehow just felt right and Emily St. John Mandel was there to fill that spot. "On day one the Georgia Flu spreads rapidly throughout the world. It has a 99.9% mortality rate. By week two civilisation has crumbled. In year twenty a band of actors and musicians called The Traveling Symphony move throughout different settlements performing concerts and Shakespeare. Life feels relatively safe but now a new danger looms, with the potential to threaten the hopeful world every survivor has tried to rebuild"
I don't really want to say too much more because this is one where knowing too much will probably spoil it. But it's not 'just another post-apocalyptic novel'. It's not simply about survival, it's also about family, friendship, community, humanity and the power of art. Mandel's writing is wonderful; not too ornate or elaborate, but very authentic and considered. There's no heavy moral, allowing each reader to take from the novel whatever they want. And the end is very fitting. It's satisfying and, well, quite perfect really. I'd love to know what your first read of 2015 was/is going to be! This sounds brilliant Jennie! My first read of 2015 was Us by David Nicholls which I really did enjoy. However, I'm reading a great book at the moment called Prisoner of Night and Fog, which is set in Germany before World War Two. I am really enjoying it! Oh, I would love to give that a go. My first read of 2015 was A Place for Us by Harriet Evans. It was lovely. ohhh I have to add this to my list of books to read! You should start an online book club!! I would totally be into that! Would make you actually stick to reading more and could open up great discussions! I'd love to collaborate on it, if you're interested! My first read of 2015 was "murder bag" by Tony Parsons. Couldn't put it down, one of those books you keep saying "just one more page" and then one more before sleep . @ Emily - I've heard good things about that one! @ Minty - They're the best kind of books! Your description sounds interesting and the cover looks great too. A tempting read. This sounds intriguing! My first read of 2015 was The Good Girl by Mary Kubica which was pretty good. I've written and scheduled a review for next week! I'm trying really hard to read more this year as I used to love it so much and now I get too easily distracted by everything else! This sounds really good!! I'm so proud of myself - I've already read 2 books this year. The first was The Lacuna by Barbara Kingsolver which was amazing and I would highly recommend. The second was called The Book of Unknown Americans and it was ... okay. Definitely not my favorite. 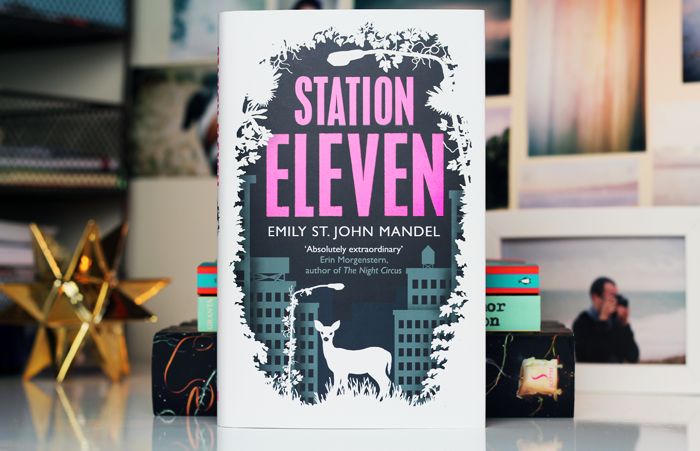 I'm slowly getting together a list of things that I want to read in 2015, and I think I'll have to add Station Eleven to it! My first read of 2015 was Afterworlds by Scott Westerfeld. It wasn't the most auspicious starts if I'm honest, but it was a quick, easy read that takes me one step closer to reaching my 100 books in 2015 goal! This book sounds right up my street, and I am on a bit of a non committal reading challenge this year! Oooh I might have to add this to my to-read list. I'm trying to read 21 books this year!